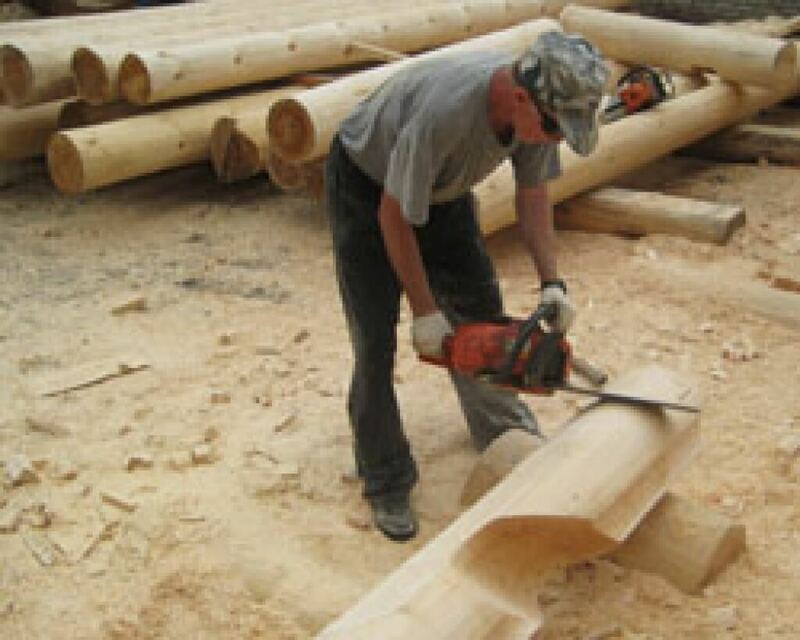 Corners and methods, which are used for their construction, are the most important part of a log cabin. We use Norwegian and Canadian methods for the corners of our log houses. This technique prevents all possible moisture and air infiltration between logs and allows us to take into consideration any further shrinkage of a log cabin after 3-4 years without any occurrence of gaps. Offsets are those parts of a log cabin, where log cabin walls intersect and protrude beyond the edges of the house. Offsets play a great role in defining an exterior look of a wooden house. They enable us to enhance and emphasize its individuality and uniqueness. Our specialists have years of experience, which allows you to devise and realize all possible shapes of offsets in a log house or a bathhouse.